Last Jersey I Promise. : Would you like a sugar cube with that? Hallelujah for the holidays. 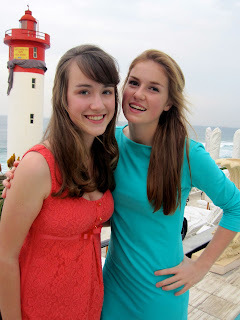 We finally finished the term on Friday and with that the celebratory partying began. For me that basically meant a weekend of lazing around the house in my pajamas, watching movies, eating and painting my nails. However, shortly before I turned into a giant sloth I really did have a celebration to attend. 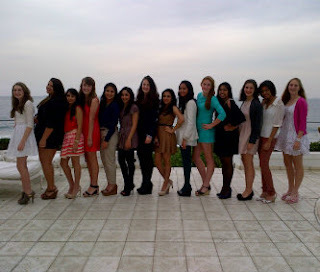 So, on Friday afternoon a bunch of us pulled on our heels, got out our very best manners and went to high tea at the Oyster Box Hotel for Zahraa's 16th birthday. Much of the afternoon was spent stuffing our faces, whilst trying to look vaguely civilized, with the amazingly wonderful food, drinking tea and taking pictures. It was a lovely way to end off the term and spend time with friends. I left with a happy full stomach, ready for the hibernation ahead;) Anyway I thought I'd share some pictures. Yaaaay. How pretty? I want these teacups. A little piece of marshmallow heaven. The cutest Polaroid camera that there ever was.